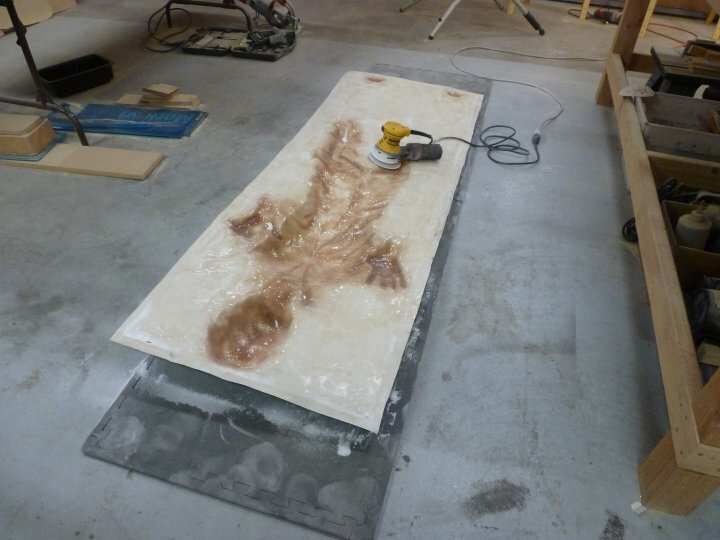 In January of 2012, we embarked on another large project. 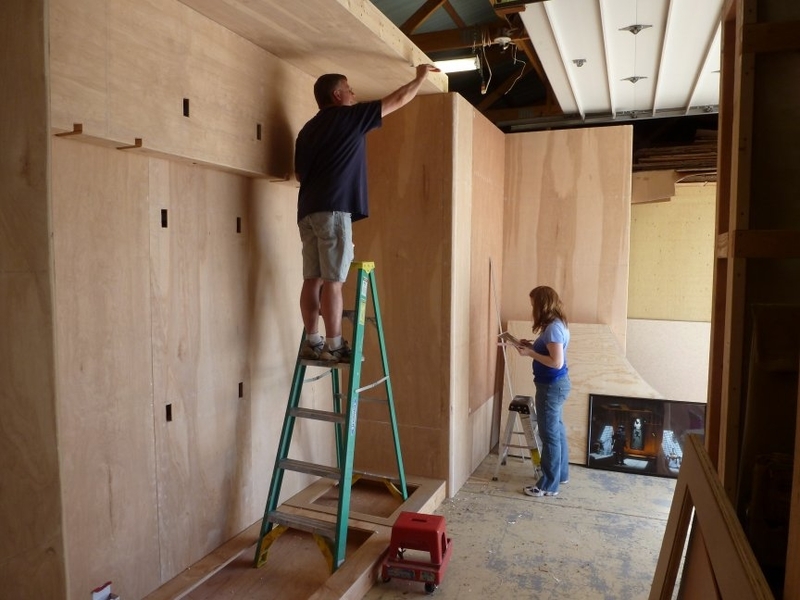 This full scale movie set replicates a scene from Return of the Jedi, which we hope does justice and pays proper homage to the movie, the prop and set builders, and the creator, Mr. Lucas. I have personally wanted to make this prop and the set for many years. 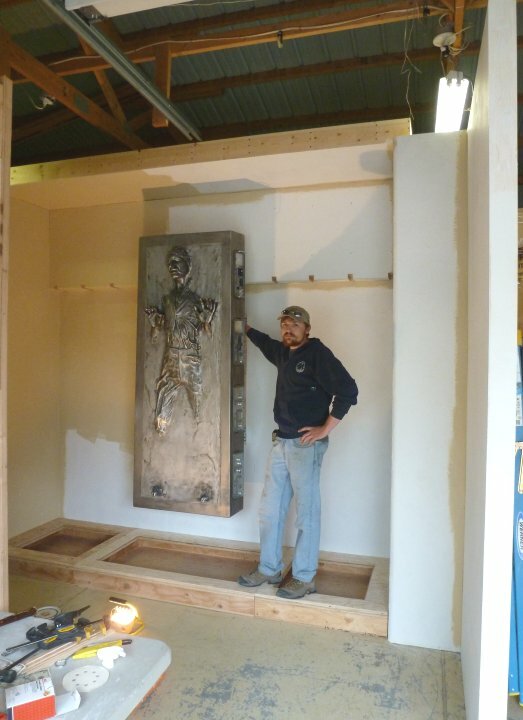 Our finished "carbonite" prop made its debut at the Rialto Theater in Loveland, Colorado in March of 2012 where local members of the 501st costuming organization helped raise funds for the expansion of the local theater. 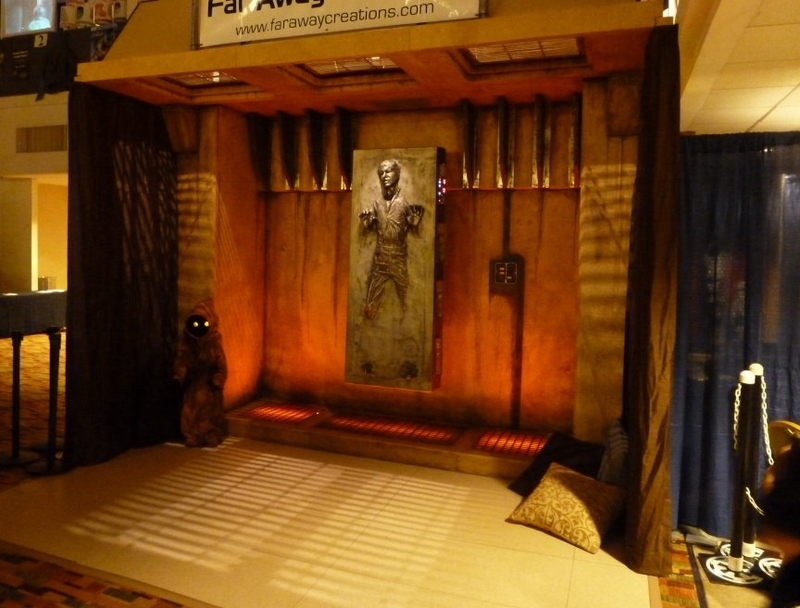 The replica movie set made its debut at Starfest in Denver Colorado in April of 2012 which the 501st used to help raise funds for Noah Wardon, a little boy who needs a service dog.